Misaki Koko, a university professor, receives a phone call out of the blue from her former boyfriend, Yagisawa Shun, who is now an executive officer of a television network. Yagisawa has been asked by Yamashiro Taizo, the leader of Meisei Party, to introduce Koko. 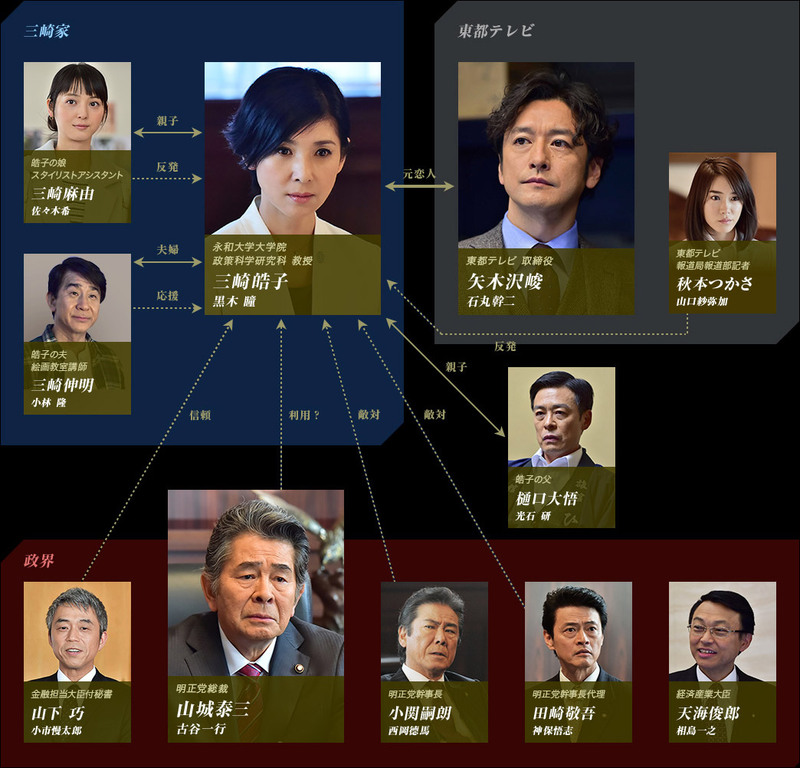 Yamashiro intends to bring Koko in as a civilian cabinet minister with the aim of regaining political control in the next general election. Hiroko has kept a distance from politicians because of a past feud with her father. She hesitates, not able to give Yamashiro a reply. However, several days later, an article announcing her appointment appears in the newspapers. This is Yamashiro's strategy to draw her in. 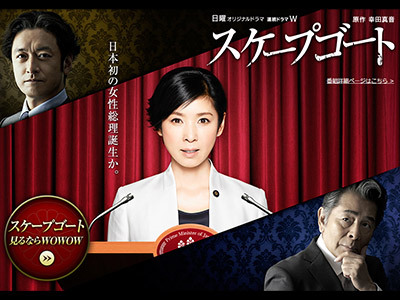 Unable to back out, Koko decides to enter politics with the support of her husband, Nobuaki. However, right after she takes office, she is faced with an unprecedented crisis. Will she be able to survive? Not bad, but at only four episodes they tried to jam in too much. Really could used another episode or two.